This Gyuto fixed blade from Fox Knives is a multi-purpose Japanese kitchen knife. 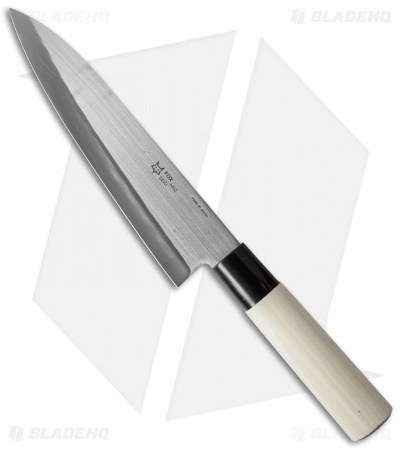 It has a large, thin blade that is used for cutting vegetables, fish and meat. The handle is made from naturally finished maple wood with black composition trim. It features Japanese made quality that looks as good as it functions. 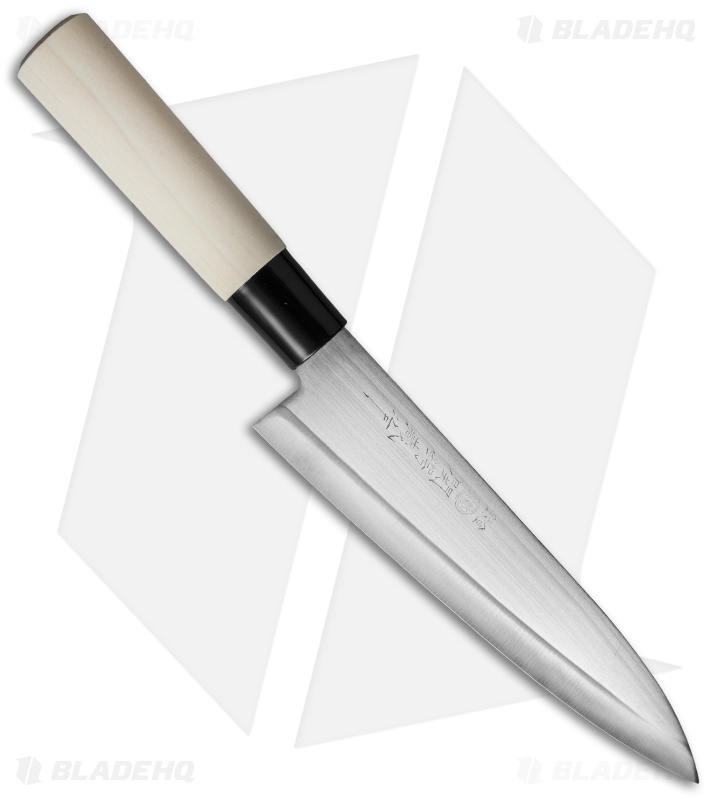 The Guyto fixed blade from Fox Knives is an essential item for every kitchen. I expected this knife to be cheap and was going to use it for sharpening practice. - Blade tip had an imperfection on it. - Branding: It says its a fox knives and shows a fox logo on the picture. On arrival it came is a tsubazo box and does not have the fox logo or any mention of fox on the knife. I'm pretty sure you can buy this cheap Japanese knife all over the internet. -Handle: very light in comparison to the knife. Felt very dry and probably needs to be oiled. Only buy this knife if you want a cheap japanese style knife. If you want a good cooking knife, just get a victorinox chefs knife for 34 dollars.